It’s quite a size to be kept secret. But Northumberland, England’s most northernmost county, is so tucked away it has often been a bit overlooked. Now, though, the secret is out. It has just come out on top as Best UK Holiday County/Destination in the prestigious British Travel Awards. Having visited many a time and experienced its wonderful, rugged countryside and beautiful beaches, it’s a well-deserved plaudit. And it was all the encouragement required for a quick revisit. Amble, at the mouth of the River Coquet, was the lure this time and while history abounds in and around, our base was brand, spanking new. Opened just last month, the Amble Inn is the latest offering from the award-winning Inn Collection Group, which has been such a success story in recent years, it recently confirmed plans to more than double the number of its hotels to 21. Costing £4 million, it has 30 smart and comfortable rooms. Ours was tucked away quietly at the end of a corridor and was super-warm and cosy. Unsurprisingly, everything is perfectly pristine and that polish extended to the bar and restaurant. Although it couldn’t be newer, there’s a lovely character and the meals were a real treat. Even on a busy Saturday evening the service was friendly, efficient and nothing was too much trouble for the staff who were both knowledgeable and unflustered. The tasty breakfasts in the light and airy dining room, with children’s play area outside, were just the thing to set us up for days of exploration. Amble itself is known as the “friendliest port” and it’s a pretty one, too, with its little harbour and classy marina. The Sunday morning market was in full swing around the trendy little wooden pods housing craft shops and foodie fare. History lies just a few minutes away in Warkworth, with its cracker of a castle (english-heritage.org.uk). The massive Keep, although built by the first Earl of Northumberland over 600 years ago, is almost totally intact. Entertaining was an important business, we see, from the wine and beer cellars to the kitchens with fires big enough to fit several entire carcasses in. But don’t leave Warkworth itself without a wander down the main street with its characterful houses, shops and pubs. And if you’re in need of refreshment, the 18th Century Masons Arms serves up history along with your tipple of choice. 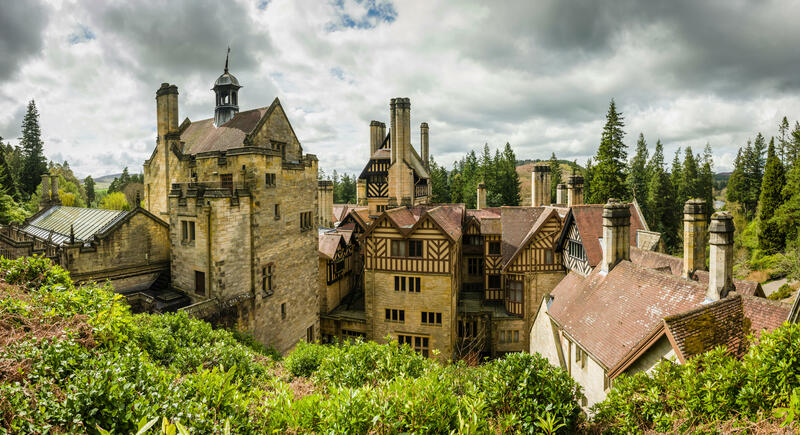 Just half an hour inland is another cracker, Cragside (nationaltrust.org.uk), which was the Victorian home of Lord and Lady Armstrong. It was the first house in the world lit by hydroelectricity and standing in the very room where people marvelled at this wonder, you can feel the sense of history wash over you. Take time to explore underground, too, contrasting the scullery where maids would work for up to 16 hours a day with the lavish Turkish bath where guests would laze their time away. And we get a closer look at the 1,000 acres and seven million trees as we make our way out on the six-mile Carriage Drive. 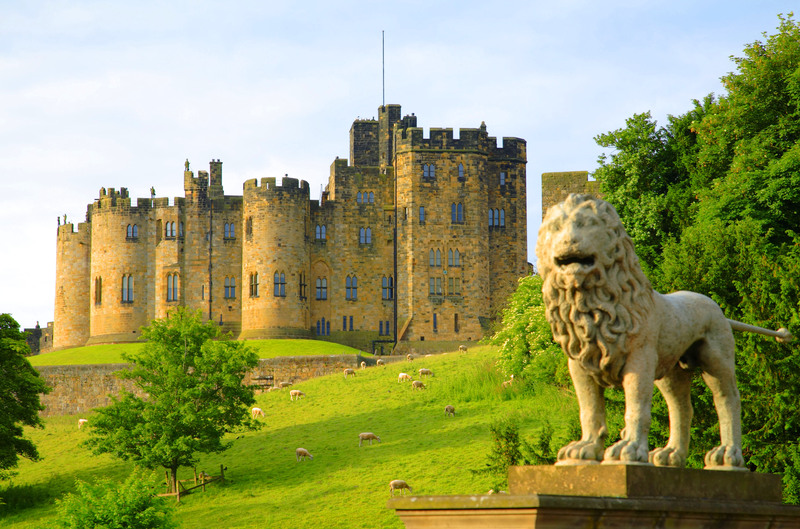 The Amble Inn is the perfect place to explore Northumberland and Alnwick is next up. The town, with its independent shops and great market, is a brilliant place to wander round as is The Alnwick Garden (alnwickgarden.com). The castle – yes, the one from the Harry Potter movies – was still closed for the winter but the gardens, open all year round, are full of fascination. Even if you don’t have green fingers, you’ll find plenty of interest, including the secrets of the poison garden revealed by tour guide Sandy. 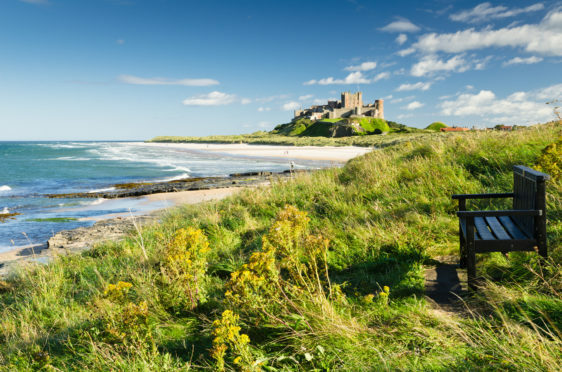 But one castle which is open all-year and surely aided in the award win is Bamburgh (bamburghcastle.com), much-photographed and a magnet for filmmakers. It was saved from ruin by Lord Armstrong and the family link exists to the present day. From the ancient to the ultra-modern, like the Amble Inn, you’ll find old and new reasons to come back time and again. Amble Inn has doubles from £109.95 including breakfast. Until March 31, a two-course dinner, bed and breakfast stay costs from £49.95 per person.